By the Power of Grayskull, you too can have the Power! Mondo is proud to bring you the third figure in our Masters of the Universe 1/6 scale figure line: The PREVIEWS Exclusive Faker 1/6 Scale Collectible Figure! 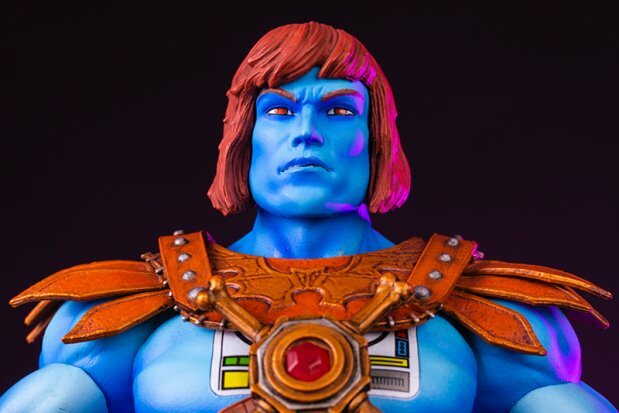 Featuring over 30 points of articulation, fabric costume elements, and various accessories, this is the most powerfully fake figure you will ever find, from here to Eternia! The figure includes a Regular Portrait, Vintage Portrait, Power Sword, Sheath, Shield, Battle Axe, Rifle Blaster, 6 interchangeable hands, and a figure stand. The PREVIEWS Exclusive Faker 1/6 Scale Collectible Figure (NOV188738; SRP $160.00) is now available for pre-order at comic shops and is expected to arrive June 26, 2019.. To find a comic shop near you, visit www.comicshoplocator.com. Are you a fan of Mondo? Let us know in the comment section below. Also, Don’t forget to like, share and subscribe to all things Constant Collectible to keep up to date with all the news and reviews from a world of GEEK CULTURE.